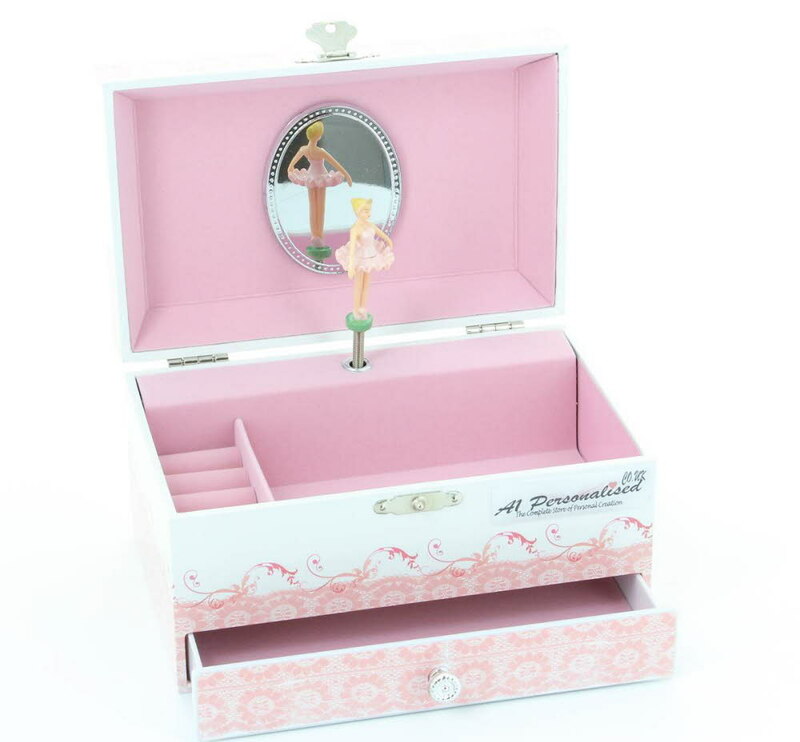 Ballet shoes Musical jewel case, Lift lid with interior mirror, the musical Tune is featured from Swan lake, Single drawer with a Decorative silver tone drawer puller, Hand lined in pink suede fabric. The box comes personalised with any name that you require in pink, this is affixed to the outside of the box. Please detail your requirements by clicking on the Customise button and entering the text that you would like.. This makes an amazing keepsake and unique present for Special Birthdays, Christmas, ...it's endless!